Originally published in the Nov/Dec 2011 issue of Converge Magazine. 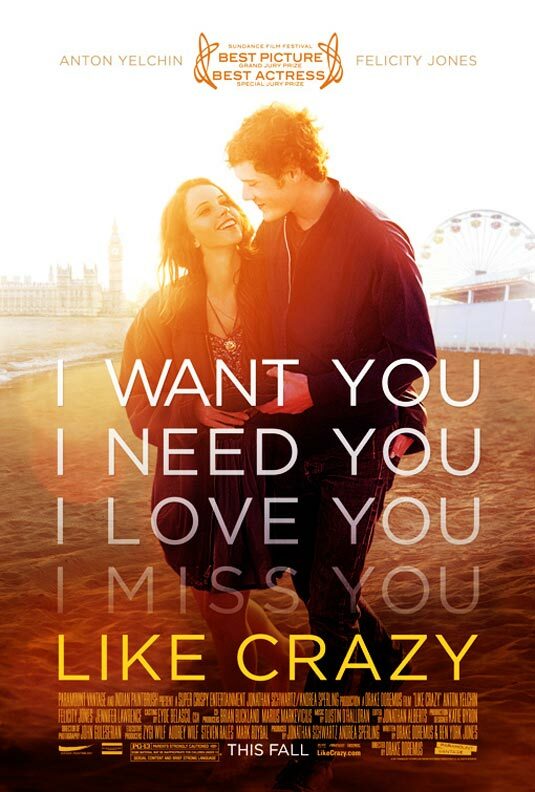 LIKE CRAZY is the story of a British girl and her American boyfriend who must face the realities of a long-distance relationship after she overstays her student visa and is shipped home to the UK. Captured beautifully by Anton Yelchin (Charlie Bartlett, Star Trek) and Felicity Jones (The Tempest), Jacob and Anna must find a way to make their relationship work while their everyday lives seem to pull them further apart. The film, directed by Drake Doremus, seems trivial at first: young love is separated and their idealistic desires begin to create friction in their relationship. However, upon spending time with Jacob and Anna both together and individually, the audience is wrapped into their feelings of abandonment and conflict, selfishness and longing. Both Jacob and Anna struggle, not with fidelity, but with the halting pace of their connection. Their relationship is on again, off again — but it’s never long before they find the familiarity of the other’s embrace. As Jacob and Anna reconnect throughout the years following college graduation and their forced separation, it becomes obvious that the success of their love is based on two factors: convenience and chemistry. While both are certainly of value in a relationship, it seems troubling, although not entirely surprising, that the two young adults have built their entire romance on these two concepts. This detail is hammered home when Anna’s parents suggest marriage as a solution to their visa troubles and the lovers react with surprise and uncertainty. Yelchin shines in his role and is perfect as a down-to-earth, patient boy; a carpenter and furniture designer. 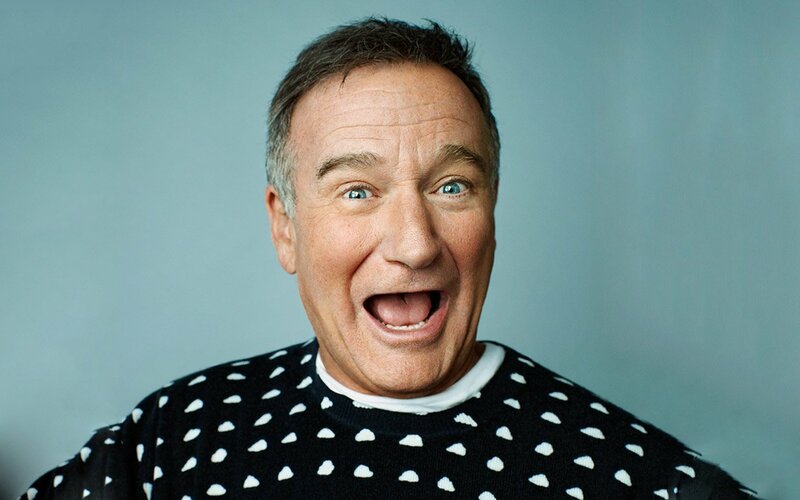 His character’s occupation seems to reinforce the idea that Jacob is always the one left behind, rooted in place like a tree from which he takes his craft materials. His gift to Anna early in the film — an uncomfortable-looking wooden chair that she absolutely adores — represents him perfectly: well-built but not universally attractive, the inside joke to their relationship. Like Crazy also succeeds in that the beginning of Jacob and Anna’s relationship never seems rushed despite being forced into a quick montage that shows their initial flirtation unfurl over the course of a school year. A scene that cuts through different clips of the couple sleeping entwined in different positions manages to illustrate quite simply the immediacy and quick development of their attraction. The film has been rumoured to be based on Doremus’ personal history. Media interviews with his wife reveal that many details of the film (down to the timing of the storyline and details of the visa complications) are remarkably similar to their real-life story. With this in mind, the pain of separation experienced by Jacob and Anna seem all too realistic, which is perhaps why certain scenes are almost difficult to watch. Even so, audiences both cringe and rejoice with the couple though all their lows and highs. As the film comes to its conclusion, viewers begin to realize that no matter what Jacob and Anna thought was the right way to do things, it’s clear there’s no road map for love. Presented at the 27th Sundance Film Festival in January 2011, Like Crazy garnered a Grand Jury Prize in the dramatic film category and Jones won a Special Grand Jury Prize for her portrayal of Anna. It’s since been picked up by Paramount Vantage and was released to mainstream audiences in late October. Posted in journalism, life, love, movies, video on January 5, 2012 by Stephanie Ip.